After being tied to the Delaware Valley for the Contest, suffering winter temperatures in the single digits and shoveling snow once a week, it feels great to be in Florida with the Nerds. We were on the boat for most of the day and got to see some cool birds. 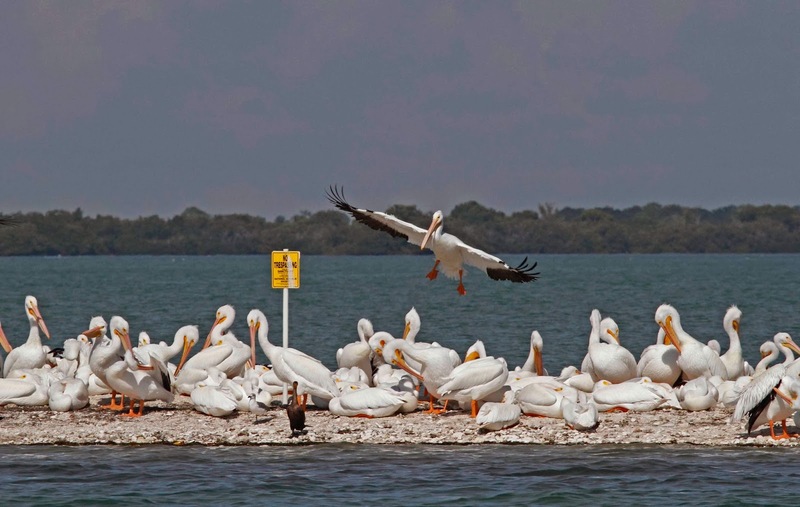 Here are American White Pelicans. I've seen a few here and there - even had one in Delaware for the Contest last year but I have never seen this many together. This little spit of sand was literally covered with them. This is a menacing sight to any bird out on the open ocean. 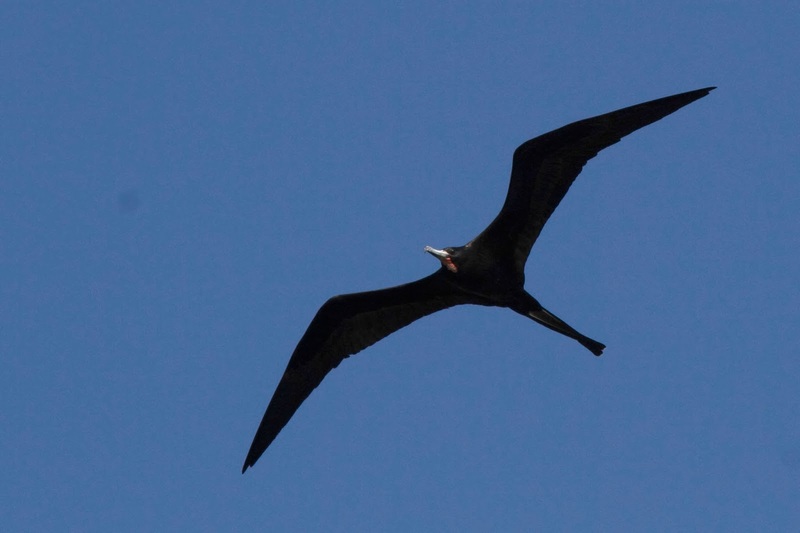 It is a Magnificent Frigatebird. These birds do not hunt for their own food. Instead, they soar high in the air and wait for a gull or tern to catch a fish and then swoop in to steal the meal. 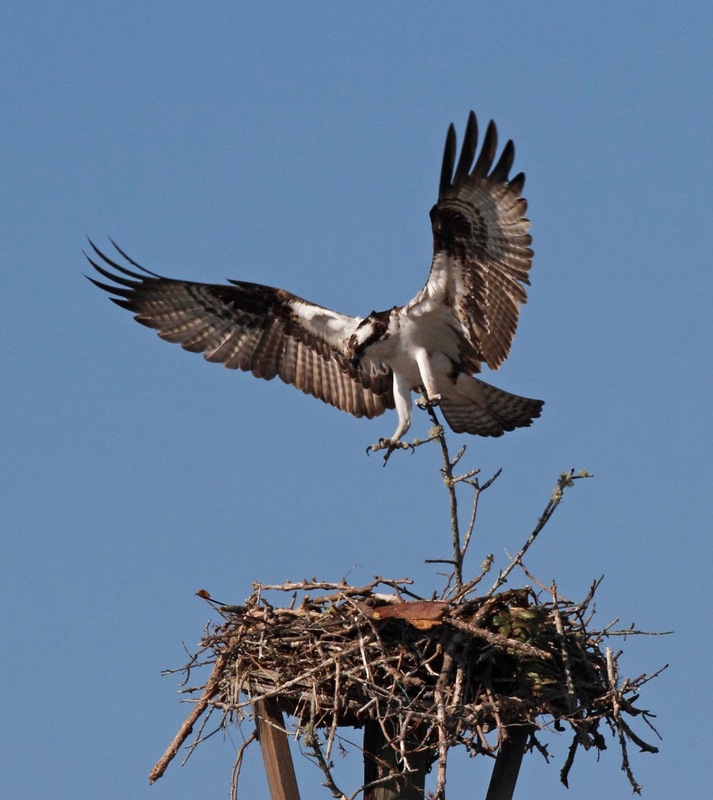 On our way back to the house, we saw this Osprey bringing a stick back to the nest. I snapped this just as the Osprey was landing. It looks like he is balancing on the stick. We have alot of birds right at the house due to the fact that the neighbors feed them. They come running, flying and swimming in every time they see a person near the dock hoping for a free meal. Here is one of the immature Brown Pelicans coming in for a landing. And here he is staring me down demanding some food. He didn't get any - yet. We bought some bait fish and will be feeding the beggars tomorrow. I hope to get some good shots. 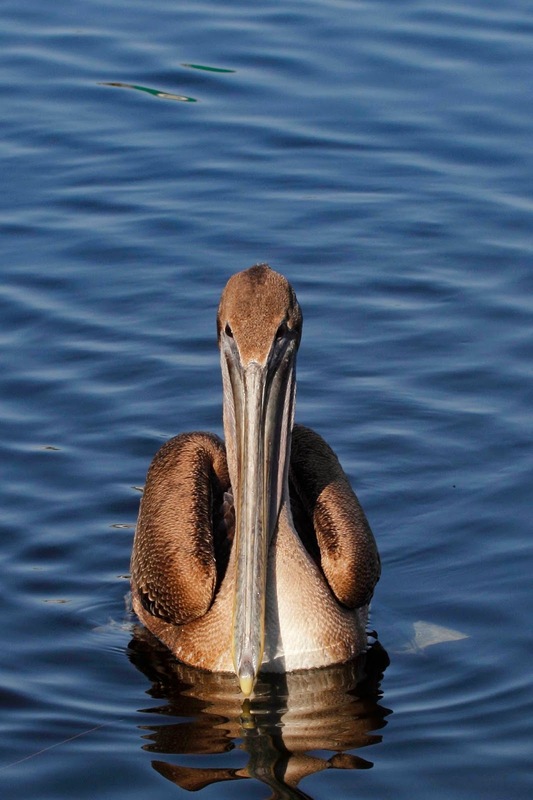 Love the brown pelican. Please feed it!